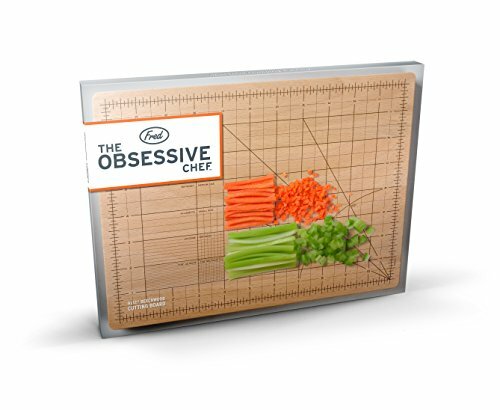 15% off Fred & Friends bamboo cutting board, 9" x 12". Available now through 11/24, while supplies last. A multitude of guide lines for different grid sizes and angles ensure your cuts are precise. Lines are burnished in rather than printed, so they won't wear off. This board features guides for medium dice, small dice, brunoise, fine brunoise, batonnet, allumette, julienne, and fine julienne. Made of strong, long-wearing, easy to clean, and environmentally sustainable bamboo. Its 9-inch by 12-inch size is easy to handle.